SPRING IS IN THE AIR, OR AM I JUST BEING OPTIMISTIC? It was a gorgeous Arizona afternoon with a temperature of, appropriately, sixty-six degrees. The winds that signal the approach of spring were blowing at a relatively calm ten to fifteen miles per hour. Spring was definitely in the air in Kingman and so my dearest friend and I couldn’t resist a short walk. I know that winter isn’t over yet. After all, I witnessed snow during the Route 66 Fun held on the last weekend in April several years ago. As much as I crave a good ninety degree day, the fast approaching spring has me rather concerned. In spite of apocalyptic El Nino predictions this has been a very dry winter, which follows a series of dry springs, summers, falls, and winters. This place is starting to look like a desert. On a less worrisome note, spring, summer, and fall are shaping up to be a series of grand adventures, grand adventures shared with friends, and new opportunities for introducing travelers from throughout the world to the wonders in and around Kingman. There is even the distinct possibility that these adventures will, as in 2014, be international in nature. With the exception of a few minor details, such as finances, that have yet to be fully resolved, we have circled the dates of July 15, 16, and 17 in red. 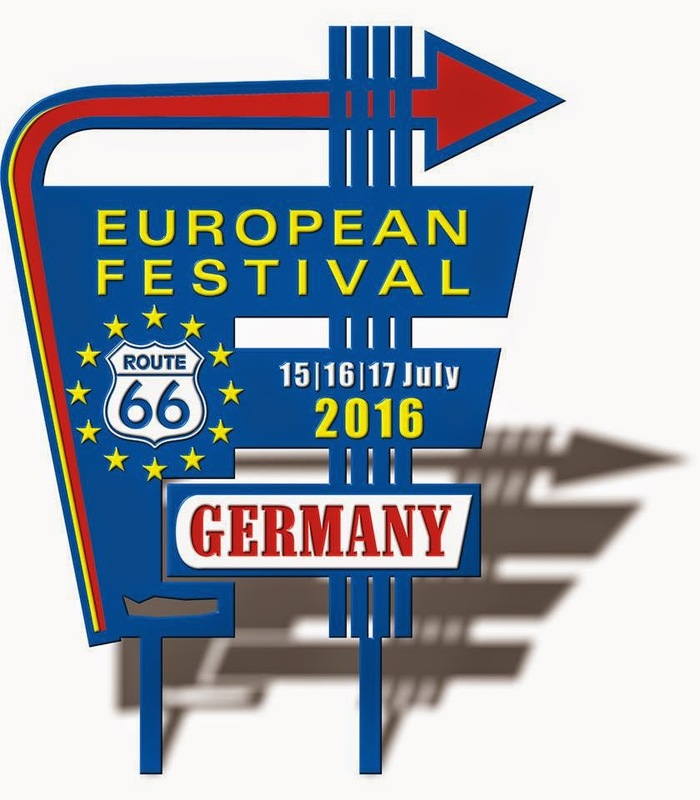 These are the dates for the first European Route 66 festival and we fully intend to attend. As the event is the first of its kind, it will be an historic festival. And, in spite of the fact that it is taking place quite some distance from the eastern or western terminus of Route 66, as with any event where Route 66 enthusiasts gather, it will be a family reunion albeit with a distinctive twist. Still, I can say with absolute confidence that in spite of obvious language issues and the expected jet lag that can make the normal seem odd, in my wildest imagination I don’t see any way possible for this event to be more unusual or strange than the “roadie bash” that closed out the Miles of Possibilities Conference and activities in Edwardsville this past October. When it comes to strange events associated with Route 66, that get together set the bar quite high. Between today and when we fly away to Germany in July, the schedule includes meeting with our friend Dale Butel from Australia and regaling his tour group with tales of Route 66. Also on the calendar are Lon Haldeman’s bicycle tour, a tour from France, a tour group from Germany, a tour group from the Czech Republic, the annual Route 66 Fun Run, meeting with a representative from the UK Route 66 Association, a Route 66 festival in Holbrook, a trip to Los Angeles, a dinner with some French journalists, an interview about Route 66 in western Arizona for an NBC affiliate, and Sam Murray’s group from New Zealand. Once again, it looks as though I will be keeping boredom at bay. Meeting with groups and visiting with old friends is the highlight of a season on Route 66. Lon’s group is a different matter as I never know whether to be inspired or depressed. The last time I met with, and spoke before his group the youngest participant was in his early fifties, and the oldest had recently celebrated an 80th birthday. Did I mention that when I met with them they had just ridden to Kingman from Needles through Oatman? On the Kingman front things are moving rather fast. This Wednesday evening, the 10th, the Route 66 Association of Kingman will be hosting their annual meet and greet at 6:00 PM. This time the venue is the historic Sportsman’s on Andy Devine Avenue (Route 66) in between the Hotel Beale and Brunswick Hotel. 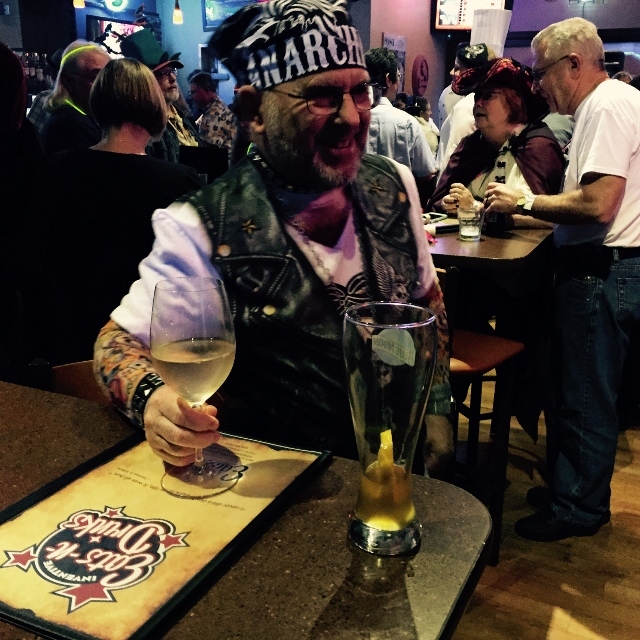 If your in the neighborhood, stop by for a cold beer or a game of darts or pool, and lets talk Route 66. The old saloon is beyond wore at the heel but with its pressed tin ceiling, stunning back bar with beveled mirror, and scuffed floors it is a near perfect time capsule from the era of World War I. As the historic district reawakens from a long slumber it is only a matter of time before someone adds a bit of polish to this diamond in the rough. This morning I learned that an offer has been made for the long derelict State Theater downtown. It doesn’t have the class of the Rialto or Coleman but when it opened, it was just a simple 1940’s era theater in a dusty Arizona cow town where Route 66 was literally the main drag. Still, it would be great to see it revitalized as I have some great memories associated with the place. More years ago than I care to count, my dearest friend and I would have dinner at the soda fountain in Kingman Drug, and then walk to the theater. The prospective owner plans to transform it into a performing arts center and school, and to show classic films. This would be a most welcome addition to the historic district. 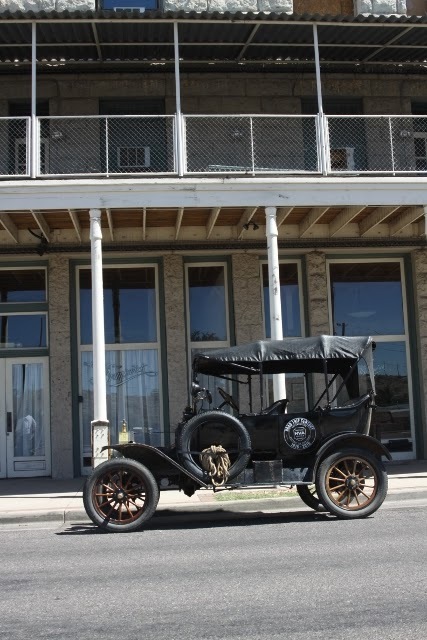 I have also learned that a sign company which recently purchased equipment for the restoration and manufacture of neon signs is looking for a location in the Kingman historic district. That would fit quite nicely with the Route 66 Association of Kingman’s 66 Celebrates 90 initiative that includes adding neon to the Route 66 and Beale Street corridors. Yep, 2016 is shaping up to be quite a year. As a bonus we have a three ring circus complete with side show. Technically, it is called a presidential election.